Did you know there is an indie movie theater right on Court St.? Stop into the Athena Cinema at 20 S. Court St. and check out what we have to offer. Sign up for our email list and get a free, local popcorn. 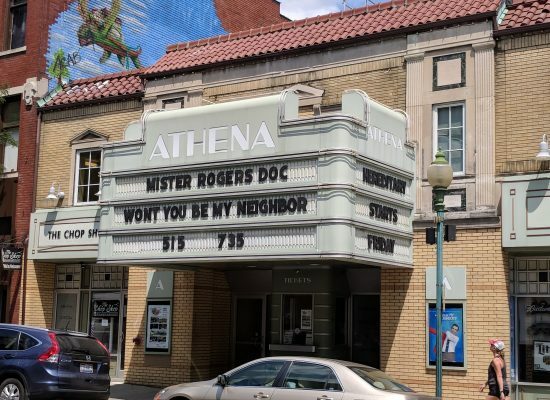 Check out the movies we are playing, get a limited edition student loyalty card and see Athens’ own 103 year-old movie theater! Monday, August 27th-Friday, August 31st, 1:00-3:00 p.m. at the Athena Cinema, 20 S. Court St.
And check out The Miseducation of Cameron Post, playing Wednesday, August 29th at the Athena Cinema as part of Welcome Week.